CARLSBAD — The Carlsbad Chamber of Commerce will present the only Carlsbad City Council Candidate Forum that is open to the public. The free event will take place from 5:30 to 7:30 p.m. Oct. 23 in the Ruby G. Schulman Auditorium at Carlsbad City Library, 1775 Dove Lane. All six council candidates have been invited to the forum. During the first hour, which will be broadcast live on Time Warner Cable Channel 3, each will have the opportunity to answer a series of predetermined questions. During the second hour, the public will have the chance to ask the candidates live questions. 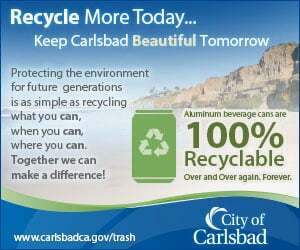 For more information, call (760) 931-8400 or visit www.carlsbad.org.